3 Tier Cake with 6", 9" and 12" round tiers. 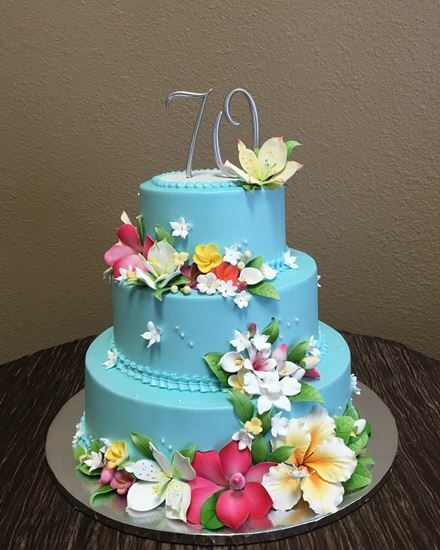 Decorated with Aqua-blue buttercream. In-stock numbers & gumpaste flowers are included. Serves 70 - 80 slices.